Apple has been awarded a patent for a Lytro-like camera system that will refocus an image after the shot is taken and could surface in the iPhone 6. The patent for a "digital camera including refocusable imaging mode adaptor" was spotted by AppleInsider and could be a big clue as to the next step for the iPhone snapper. Without the need to focus, taking pictures on an iPhone would be made instant thanks to the "plenoptic" tech, which basically means you can change what is and what isn't in focus after the shot has been taken. The patent even makes reference to the Lytro camera as prior art but adds that certain adjustments can be made in the quality of picture. None of this is too surprising though. During his final months, Steve Jobs actually met with the founder of Lytro to discuss a possible partnership with the company. The patent was first filed in September 2011, one month before Jobs passed away, so this could be one of his ideas that's yet to surface in an Apple device. 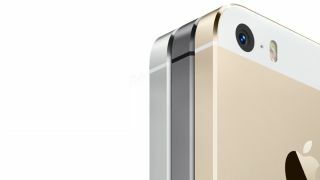 iPhone 5S - what's the verdict on Apple's newest flagship?